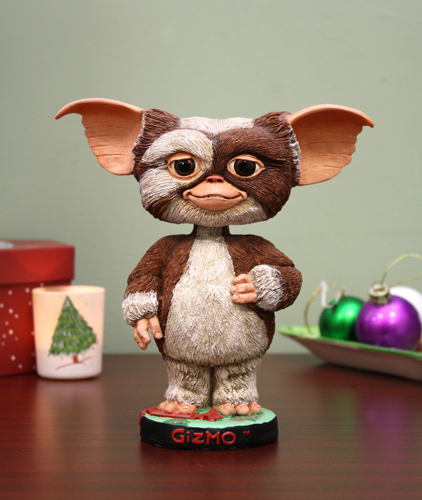 That about sums up Gizmo, the loveable Mogwai from the classic 1980s movie Gremlins. He’s all smiles and cuddles until you get him wet or feed him after midnight. Luckily, this Head Knocker version doesn’t have those problems! Features a build-in stand and a fun bobbling head.